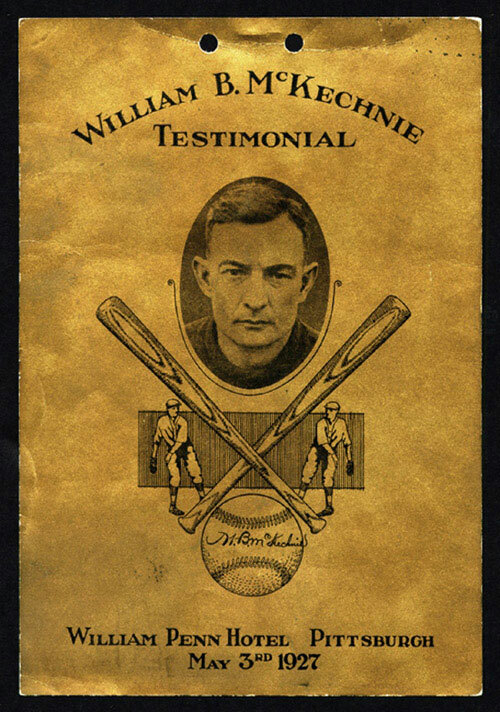 Bill was born on August 7, 1886 to Archibald and Mary McKechnie, two Scottish immigrants who had settled in Wilkinsburg shortly before Bill was born. 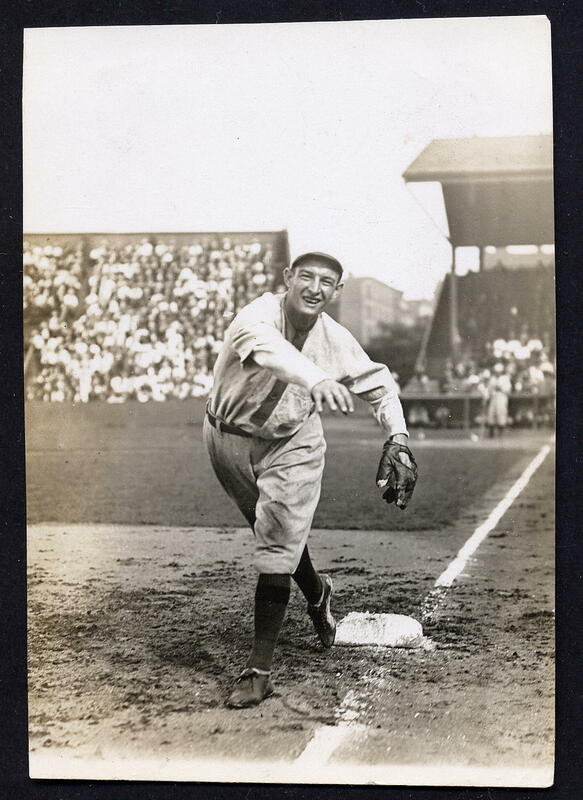 Bill broke in with the Pittsburgh Pirates in 1907 but only played 3 games. 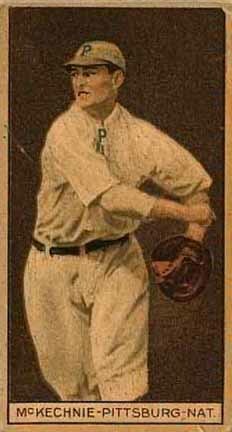 He came back to the major leagues and the Pirates in 1910 through 1912. 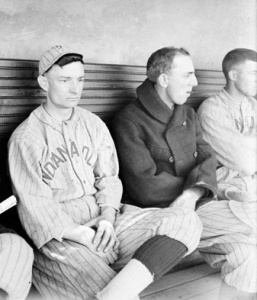 In 1913 he played with the Boston Bees (Braves) and the New York Yankees then in 1914 & 15 he jumped to the new Federal League with the Indianapolis Hoosiers & Newark Peppers (he also managed the team). 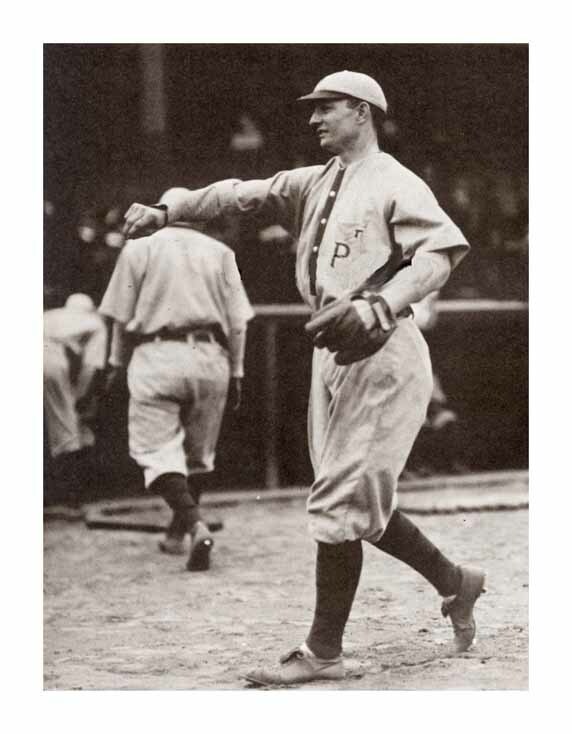 In 1916 he was back in the major leagues with the New York Giants & Cincinnati Redlegs, In 1917 the Cincinnati Redlegs and in 1918 & 1919 he was back with the Pittsburgh Pirates. 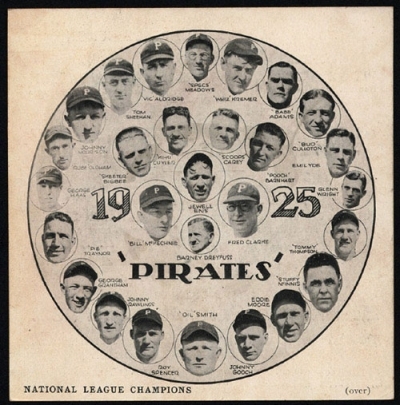 After retiring, he managed the Pirates from 1922 to 1926 winning the World Series in 1925 over the Washington Senators. 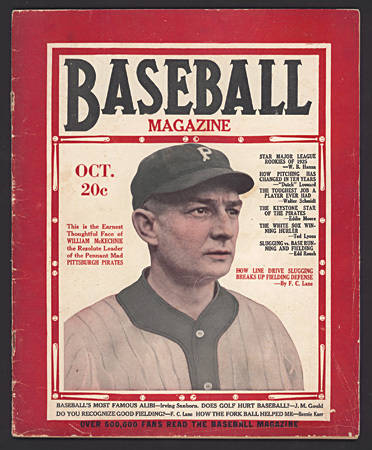 Two things a lot of people do not know are that he gave a player riding the bench a chance to win the 3rd base job and stuck with him…..that player went on to the HOF….he was Pie Traynor……He had an obsession with Abraham Lincoln and had pushed for baseball to allow blacks to play way back in the 20’s. 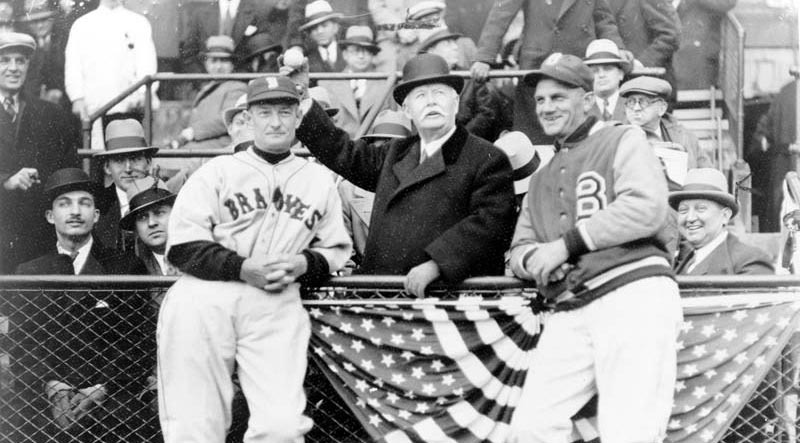 He went on to manage St. Louis 1928-29, Boston Braves 1930-37…..the one year they did really bad was 1935 when they brought in Babe Ruth, the Babe made it impossible to enforce discipline and by that time he was a terrible hitter and fielder. 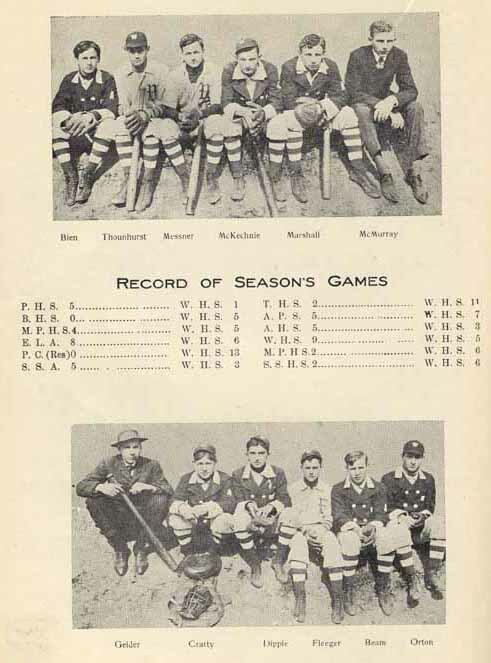 Cincinnati Redlegs 1938-46 winning the World Series in 1939. 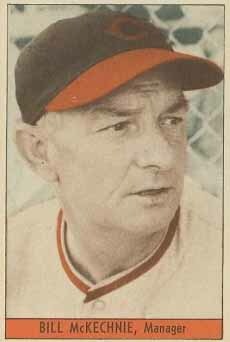 He is the only NL manager to win 3 pennants with 3 different teams. 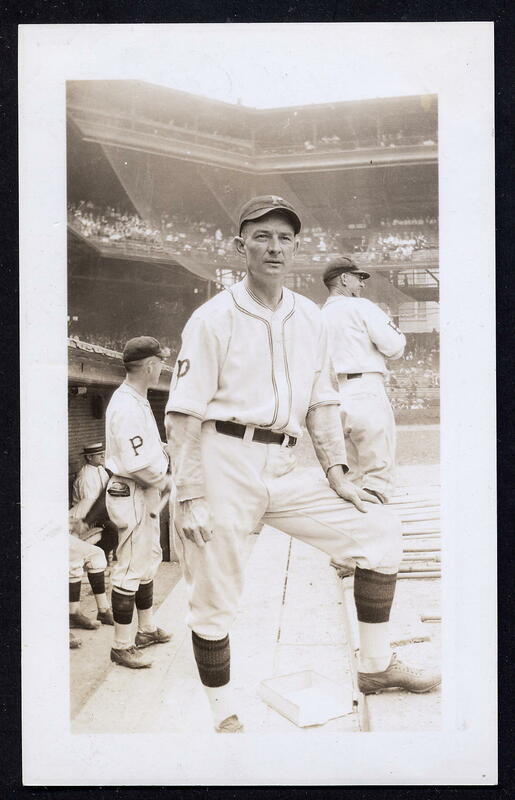 In 1948 he was a coach for the Cleveland Indians while Lou Boudreau was the playing manager….most people feel it was McKechnie calling a lot of the shots….the Indians won the World Series that year. 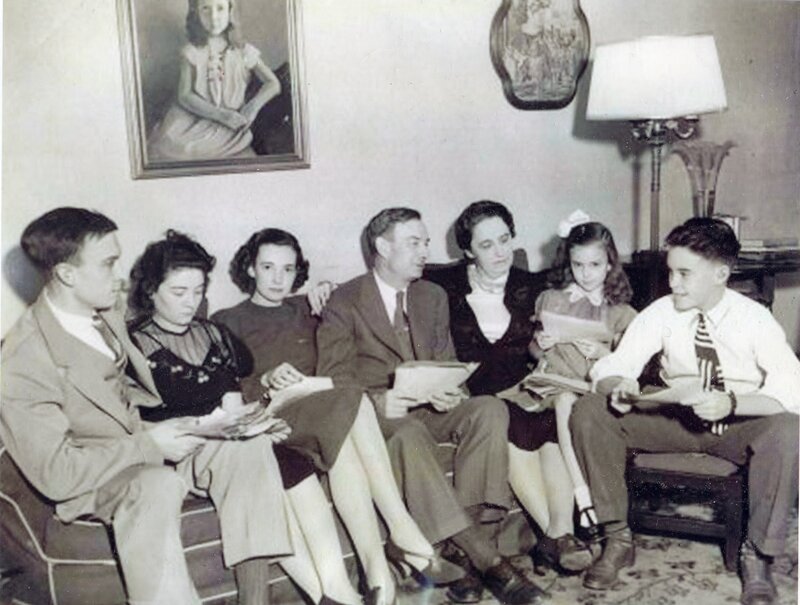 Known as a christain man, not drinking or smoking, he used to visit the leagues Presidents office often….he was always handed his favorite drink….coca cola….he once commented that he loves coke but the ones you always give me seem to taste better….later it was found out they were spiked. (AP) – William B. McKechnie 76, former big league manager, grabbed a floor lamp and chased two armed robbers from his living room last night, police said today. 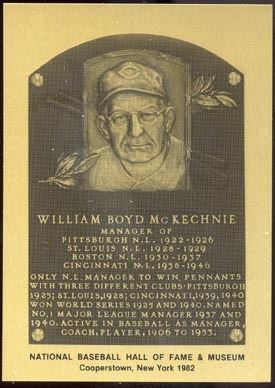 McKechnie, slated for induction to baseball’s Hall Of Fame July 23 at Cooperstown, N.Y., told police the men, wearing paper bag masks, entered through a window, one carried a pistol, the other a metal pipe. The veteran major league manager asked, “What is this, Halloween?” when the pair demanded his money. Wilkinsburg Historical Society is now meeting quarterly, four times a year. Annual Dinner to be held Monday, November 21, 2016 with storyteller Stas!